My name is Ana Catalina Rojas de Merkel. I was born and raised in Bolivia, but now I live in Brooklyn, New York with my husband Greg Merkel who is from Colorado. We both love design. 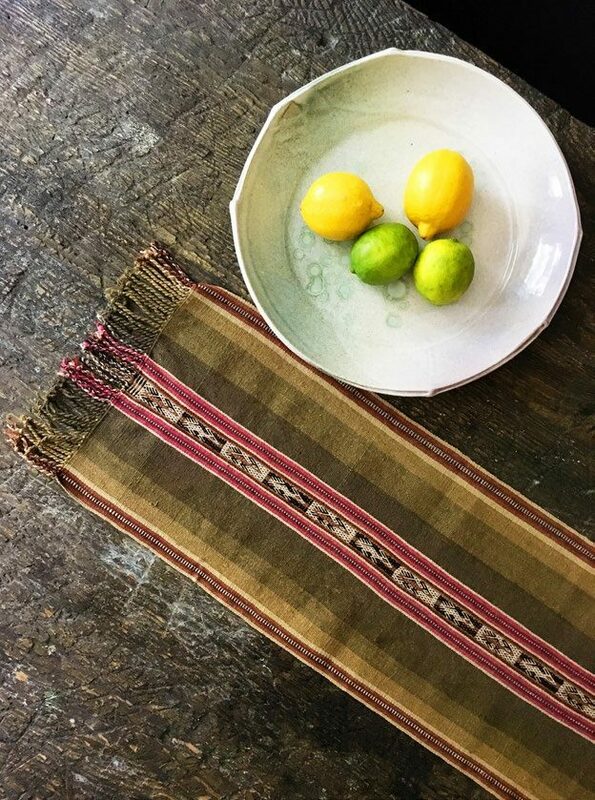 We met studying architecture and have been together ever since, and this has led us to fall in love with the rich textile history of Bolivia and the high Andes. And we want to share it with the world. Q: Can you tell us a bit about how you started Ponchos Rojas? A: Our company Ponchos Rojas is the culmination of many intersecting interests and passions. Our love of nature, family and a passion to know where we come from have led us to travel throughout Bolivia. We do this to see the beautiful natural environments, experience the local customs and learn from the fascinating history this area has. What struck us the most in our travels was that there is a sharp divide between the young and old generations in the countryside. You travel to the small towns throughout the campo (Spanish for grass plains) and there are no young adults carrying on the traditions of their parents. And these traditions aren’t really written down – everyone weaves from memory. 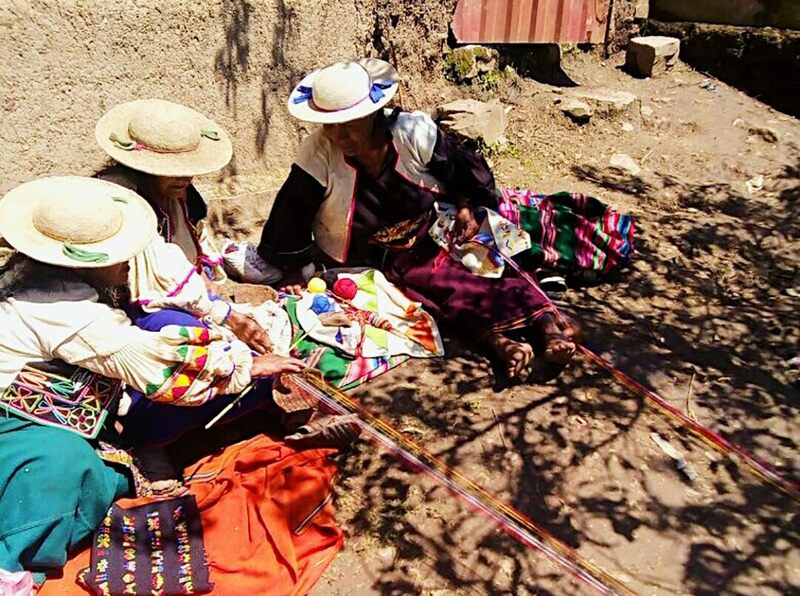 The high plateau of Bolivia and Peru has been the cradle of South American cultures for centuries, and these cultures developed one of the most advanced and beautiful weaving traditions of the ancient world. These techniques have lasted the test of time and the curve of history, but modernity is threatening to erase this weaving knowledge from history. Q: You mentioned in your website that you’ve fallen in love with the beauty and artistry of the Mollo’s weaving tradition. What about it exactly set it apart from other weaving traditions that inspired you to help preserve this artform? A: The Mollo culture predates the Inca civilization and are thought to be the direct descendants of the Tiwanaku culture. 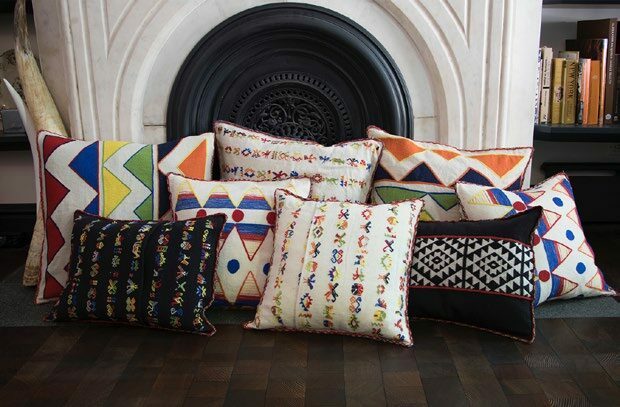 They have a rich tradition of embroidered and woven fabrics, and are well known for their triangular patterns representing rivers, mountains and stars, as well as their detailed embroideries that capture both the sacred and everyday symbols of life. When we went and visited them, we were blown away by their beautiful and detailed clothing as well as by their hospitality. Q: What convinced you of the market viability of the products under Ponchos Rojas? What do you think is the most distinctive characteristic of your products? A: We believe that there is always a market for traditional, sustainable handmade products that tell a history about a place but also have a twist of modernization in the design. Especially now that everything is made “fast”, and as a result, there is a huge textile waste. For us it really comes down to two things: quality and giving back. When something is made with care by hand, and you can feel that quality with your own hands, people can tell and want a part of it. 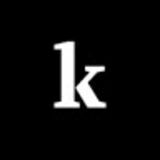 Also, when products are responsibly sourced, and you give people a chance to support a good cause, most jump at the chance. Q: How has the Mollo community reacted to your admirable initiative? A: Overall, everyone is excited to be working with us because it gives the women an extra income that will help them and their families. 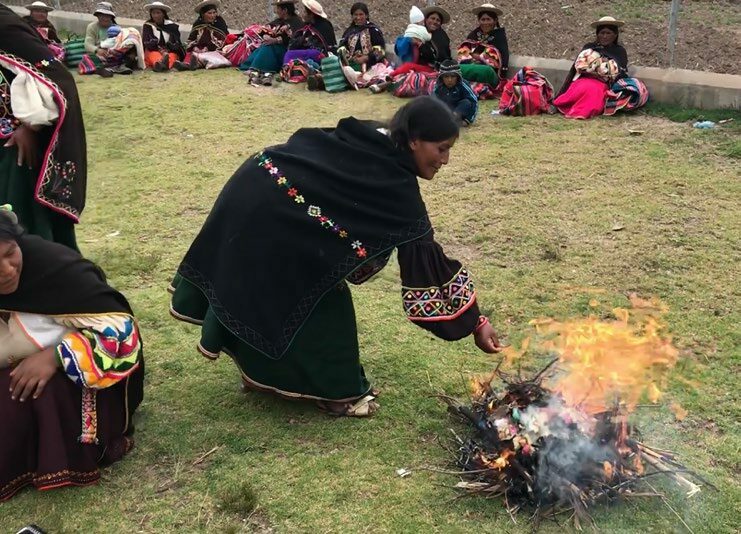 We did a blessing ceremony with the community when we first started, where we burned a challa (an Andean burning ritual) as an offering to Pachamama and to commemorate a successful collaboration between us and the community. We also shared an ajtapi, which is an Andean sort of Thanksgiving where food and drinks are shared in picnic style with friends and family. 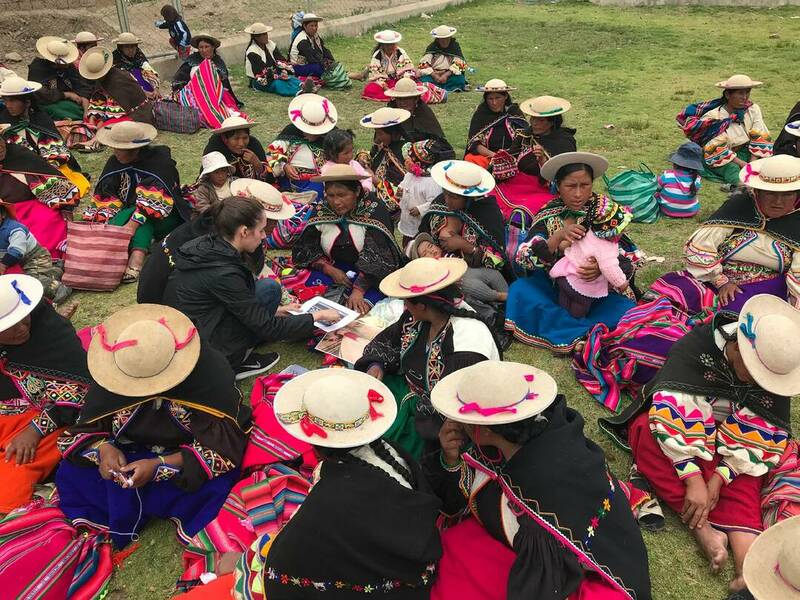 We are also working with another community in the north of the Potosi district called Livichuco, where the whole process of the making of the textiles ―from sourcing the wool from the llamas and alpacas, to dying the wool the natural way, to weaving on a ground loom―is done the traditional way. Q: What qualities of handmade objects do you think has made it desirable even more so today, in the midst of faster production and automation? A: You can really see the ‘hand’ in the pieces that we have made and sourced. You can understand that someone actually made these pieces with love and attention. And with the pieces that we source as vintage, a lot of them are likely at least 50+ years old, and they still have a lot of life left in them. You don’t get quality like this from mass-produced products. Q: You've expanded your range from ponchos to blankets to even rucksacks. Any other applications of the weaves that you are interested to pursue? A: We are working now on some home goods, pillow cases and tableware. We’ve also starting a one-of-a-kind fashion line where we are using vintage jackets and combining them with vintage ponchos. We also do custom-made doggie ponchitos. We would really love to work with all of the major weaving areas in Bolivia so they are all represented. Q: How has your experience with Ponchos Rojas enriched your understanding of the world as an avid traveler? A: It has been very eye-opening to travel to small communities around Bolivia and see the reality they live in. It’s always good to get out of the bigger cities to really see the daily life of the people in a community, sit with them on their territory and break bread with them. We try to do this everywhere we travel. Q: The traditional art of weaving survives with the growth of its practitioners. Any other initiatives you are a part of that helps encourage the youth to take up the craft and keep the weaving tradition alive? A: Yes, we started a non-profit called Ponchos Libres, where 10 percent of our earnings go toward our goal of preserving and keeping this art form alive, through weaving programs and community schools to teach the younger generations. We are currently working with four communities from La Paz and Potosi that specialize in different types of weaving or embroidery. Ponchos Rojas and Ponchos Libres are set up to help share the high Andes weaving traditions with the world and in effect help preserve these traditions for generations to come.